The EU must recognise its shortcomings and remain united. Some member states want more integration, others don’t. 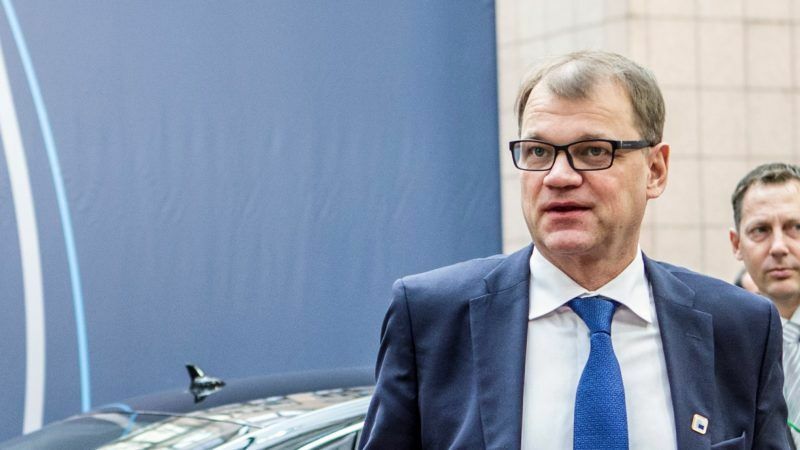 Prime Minister of Finland Juha Sipilä proposes no new treaty change and a focus on cooperation in which the bloc moves forward at the same pace. Juha Sipilä (Centre Party) has been the prime minister of Finland since May 2015. This opinion-piece was first published in Helsingin Sanomat. In considering our future direction, there is no room for emotional populism: we must be able to examine matters pragmatically. European cooperation was built over time on three main principles – peace, prosperity and common values. Europe, ravaged by the world war, needed stability. Soon, European cooperation will have succeeded in creating 70 years of this. Economic cooperation led to an understanding of the power of a single market and a common trade policy. Europe is united by common values and belief in the rule of law, and the significance of these fundamental principles should not be called into question today. The European Union’s development is now at a critical stage, and this is not mere chance or the result of factors unconnected to us. In the early years of this century, strong support for integration and rapid development still prevailed in the European Union. We deepened the integration through the Economic and Monetary Union and the Lisbon Treaty. At the same time, the Union enlarged rapidly. Preparations took place at a high level and perhaps too quickly, and not all citizens learned to accept the remodelled Union as their own. This is evident in an erosion of trust and in frustration at the Union’s capacity to act. The Rome Declaration, piloting the future development of the EU, will be published at the end of March. This has been discussed on several occasions between the leaders of the EU member states. Finland’s line is pragmatic – seeking concrete measures and unity. The EU must recognise its own shortcomings. We have not succeeded in creating trust among citizens, nor in implementing the decisions we have made. In this regard, the Union must return to its roots and focus on the essential. Member states have different views on the future direction of the EU. Some want to deepen integration radically, some to return decision-making power to the national level. Some countries want to strengthen the two-speed development of Europe, in which some of the member states would willingly remain outside the core while the others enhance cooperation. Many of the proposed changes would require the re-opening of the EU Treaties. This would mean a multi-year negotiation process with no certainty about its results. The Union cannot afford this. Finland proposes a realistic middle-way solution. No re-opening of the EU Treaties, no new steps towards deeper integration, and no reduction in the Union’s powers. Faced with external and internal pressures to change, the Union can be strong only by being united. In EU cooperation, we must find ways of proceeding together at the same pace. The formation of different political cores among the member states is not in Finland’s interests. The Community method is a way of guaranteeing the stable and equitable functioning of the Union as well as ensuring democracy in EU decision-making. It is important that the Commission remains independent and effective. The EU must recognise its roots. This means safeguarding the continent’s stability, prosperity and common values. We already have the tools to achieve this. We are strengthening European stability through the Common Foreign and Security Policy and the defence dimension. Finland is prominently involved. The member states see clear added value in this. Trust is the basis of everything. Every member state must assume its share of responsibility and adhere to the common rules. Otherwise, we cannot expect others to show solidarity. Prosperity will be created by defending free trade and preventing the rise of protectionism. Developing the single market will play a decisive role. Particularly for Finland, which survives on exports, this is a vital issue and a key European asset. Prosperity will also be created by making structural reforms and following a disciplined fiscal policy. Sound financial management must also be the starting point in future EU multiannual financial framework negotiations. The EU’s total budget should not grow. Europe must find a pragmatic course. Citizens do not consider a federal state to be a goal worth striving for. We do not, on the other hand, need to turn inward. We must fight against hate speech. We need a citizens’ Europe in which we share our common values and work for the peace and well-being of our continent. Only common EU value is single market so EU must go back to it canceling EU paraliamenet and EU Commission. Why should a species be eradicated just because it is from Africa or Asia? It is scandalous. every animal should have the same right to life in Europe any other policy is vile discrimination based on race and unacceptable by left wing progressive standards.